Let’s start with the obvious, the target audience of the event. We expected to attend a smaller and regional replacement for Synergy, we where wrong. After reading the article more thoroughly (and without the shock of missing Synergy Europe) the target audience is described clearly: customers and partners. With the focus on customers. The rumor goes that Synergy Europe got cancelled because it didn’t attract enough customers that lead to an increase of revenue .By organizing a regional event for customers and business executive enables Citrix to present regionalized content, focusing on the local market, and shorten the distance between Citrix and the customers. With that in mind I think the event was a success, especially for the French market. A lot of French customers and their partners got content presented focused on the French market (especially a presentation by IDC on mobility), unfortunately there where only a few Dutch customers and their partners. I suspect that the ambiguous messages by Citrix on what the event would bring contributed to the lower number of Dutch customers. The customers got a wide range of presentations ranging from a summary (or replay) of the keynote of Synergy Anaheim, a mobility market analysis of IDC, customer experiences on mobility and more multiple presentations on mobile products from Citrix. A number of vendors had a small booth where the customers got informed about their latest product offerings. Unlike the customers and the partners that’s brought the customers, the IT pro’s of the partners where not the target audience for sure. Being an IT pro I enjoyed visiting Synergy Europe to get informed on the latest developments by Citrix, attend technical sessions, discuss with fellow IT pro’s during GeekSpeak and most importantly: collaborate with fellow IT pro’s and partners from Europe and abroad. Obviously attending a regional event decreased the number of attendees to certain regions, since this was a one day event the value of the event was questioned. Towards the event more signals where received about the target audience and content of the day: Bring your own customers (BYOC) and a dress code “business”. The content of the presentation was, for most IT pro’s attending the mobility event, old news. All announcements where made during last Synergy in Anaheim, sessions where not technical and there was no hands-on with any of the Citrix mobile products. 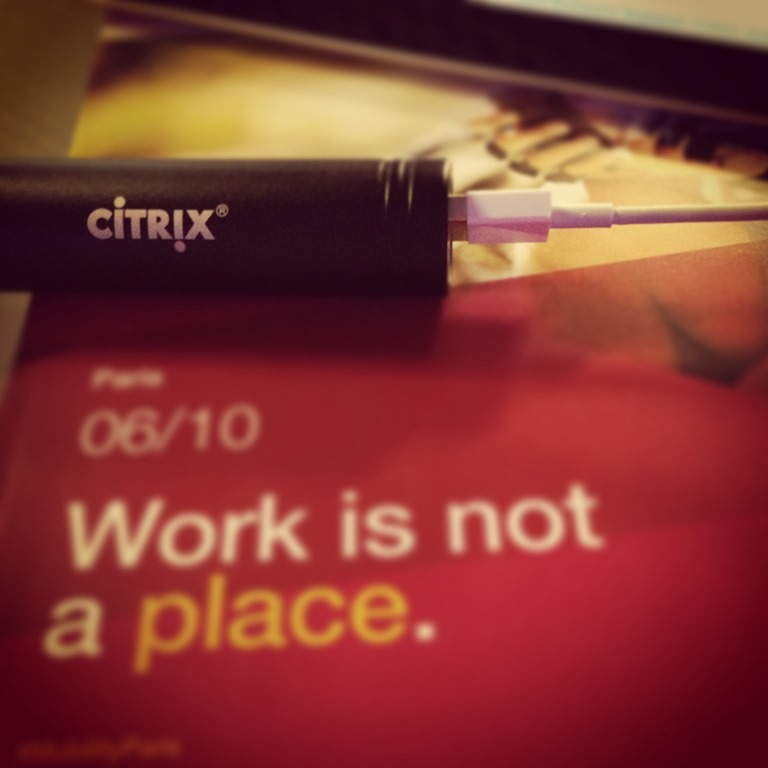 Citrix strived to improve the communication to the customers and, based on the attendance, I think they succeeded. For a first mobility event is was good but improvements can be made, especially in communication and time management. With the customers served with more regional information and more direct contact with the vendors and Citrix, where does that leave the IT pro’s? By cancelling Synergy Europe Citrix seem to forgot a valuable asset: the community. The professional voice to our shared customers. The IT pro’s in the community lost a platform to meet and discuss what the impact is of the announcements, how to improve the service to our shared customers and share ideas. With massive responses (125+) on the Synergy Europe cancellation article, numerous tweets and lots of phone calls the community asked, screamed and begged Citrix to undo the cancellation. Citrix Netherlands organized a Technology Exchange in the morning of June 25th where Synergy keynote from Anaheim is presented and discussed. This event predicts to be a good platform for the Dutch IT pro’s to meet and discuss. On a larger scale, Europe and beyond, the community must divert to E2EVC or BriForum. I’m curious to see if Citrix is will organize a Synergy Europe replacement for their other important audient, or undo the cancellation of Synergy Europe..
All attendees received a very applicable goodie: a “USB powerstick charger”. The USB charger enables the attendees to charge their mobile devices anywhere, anytime, anyplace!